I made some squishy soft fabric toys for my new little nephew. They were intended to be a christmas gift but In standard slacker fashion I mailed these off to him in mid march. Worst part is they sat around for 2 months 99% finished – bad crafter. Luckily I think he is still young enough to enjoy them! 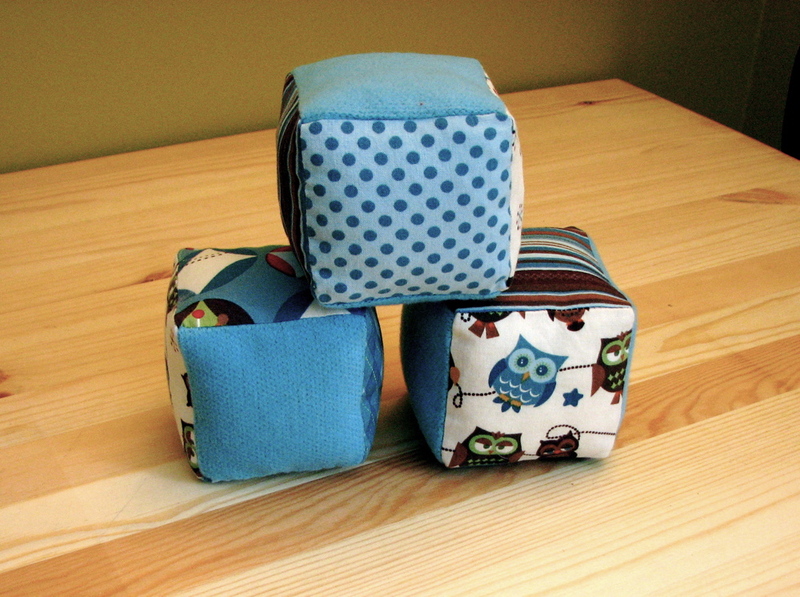 3 soft blocks, perfect for chewing on. There is one that crinkles, one that rattles and one that jungles. I used a cereal bag for the crinkle, chickpeas in a ping pong ball for the rattle and a bell for the jingle. I used this tutorial for the blocks. Last but not least, a taggy blanket. One side is soft so it would make a nice lovey cuddle blankie. 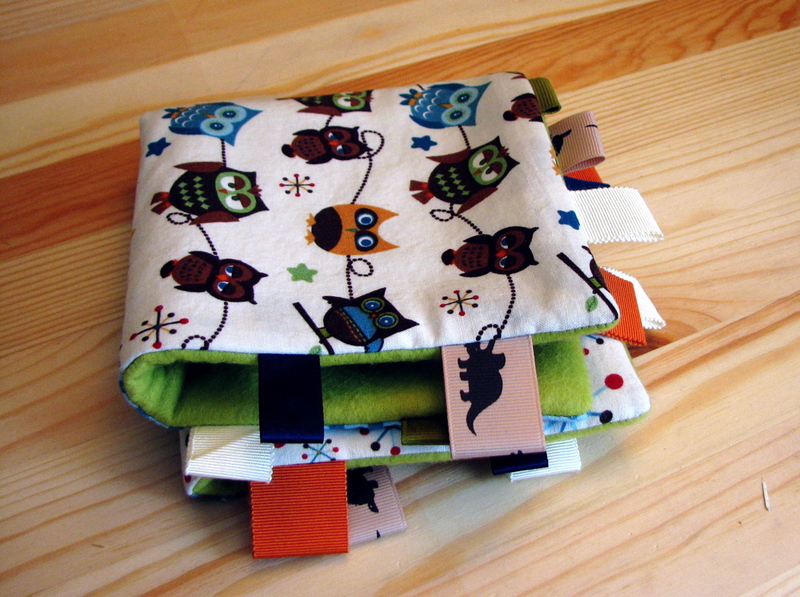 This entry was posted in baby stuff, sewing and tagged amish puzzle ball, baby, soft blocks, taggy blanket, toys. Bookmark the permalink. These are fantastic! What a lucky little guy to get such beautiful hand made toys. 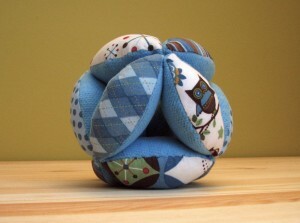 Do you have a link to a tutorial for the amish puzzle ball? 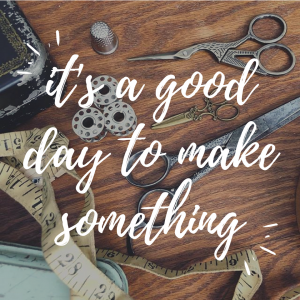 I used a combination of tutorials to figure out the best way to make it, none of which I can seem to find now! Wow! These look great! I love how they turned out and the colours you used too! I’m planning to make a puzzle ball for a Christmas gift and these are great inspiration.